As part of the school’s physical education curriculum a swimming program is conducted during the school year. The lessons are conducted at the Wodonga Leisure Centre. Chiltern Primary is a member of the Beechworth and District Sports Association. The association is made up of Beechworth P.S., St. Joseph’s Beechworth, St.Mary’s P.S. Rutherglen, Yackandandah P.S., Stanley P.S., Wooragee P.S., Mt. Carmel Christian College and St. Joseph’s, Chiltern. Students in Years 4 – 6 are offered the opportunity to participate at an inter-school level in swimming, athletics and cross country running. Successful students may then progress to Zone Carnival held in Wodonga and possibly onto to State Championships in Melbourne. As part of our membership of this association our school assists with the annual Swimming Carnival held at the Chiltern Pool. The support of other schools and our local school community makes this a very successful and enjoyable event each year. Membership of the Beechworth and District Sports’ Association offers students the opportunity to compete at an elite level and thus further develop their skills in swimming, athletics and cross country running. Students from Years 4 – 6 compete annually in the Wodonga and District Sports Association’s Summer and Winter Carnivals. The school has been participating in both of these events for many years and has a proud tradition of involvement. Participation in the Winter Carnival has seen us enter teams in football, netball, and tee ball. 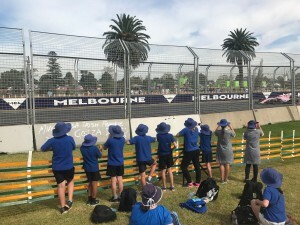 Parents, teachers and other community members have helped teams prepare for these events each year and it is great to see so many parents support the students by coming along as enthusiastic supporters on the day. Participation in the Summer Carnival has seen the school enter kanga cricket. An important aspect of our involvement on these days has been our association with Rutherglen High School who have provided past students of our school to act as umpires in the kanga cricket carnival. Participation in this carnival forms an important part of the Sport Program offered at our school. Throughout the school year students will be involved in a range of excursions to compliment classroom programs and their learning experiences. On some occasions whole school excursions are planned. A school camps program is also in place and depending on the need school camps are also planned as an extension of the PE program. Annually our students participate in the Wodonga and District Schools Arts Festival. This involves participating in vocal, movement or instrumental items. Students also contribute artworks for the combined Visual Arts Exhibition. Students at Chiltern Primary School are provided with access to the latest in information technology. They have daily access to a comprehensive computer network and to notebooks and iPads linked through a wireless network. The school has a current computer to student ratio better than 1 : 2. Opportunities to expand their friendship/peer group by working as part of a team. Each month our year 6 students assist at the Red Cross Community Lunch. The students are responsible for setting up the tables, serving a 2 course meal, clearing tables and of course, chatting and building relationships with the senior citizens of Chiltern. Each month our year 6 students assist with the delivery of Meals on Wheels to various residents in the Chiltern district.